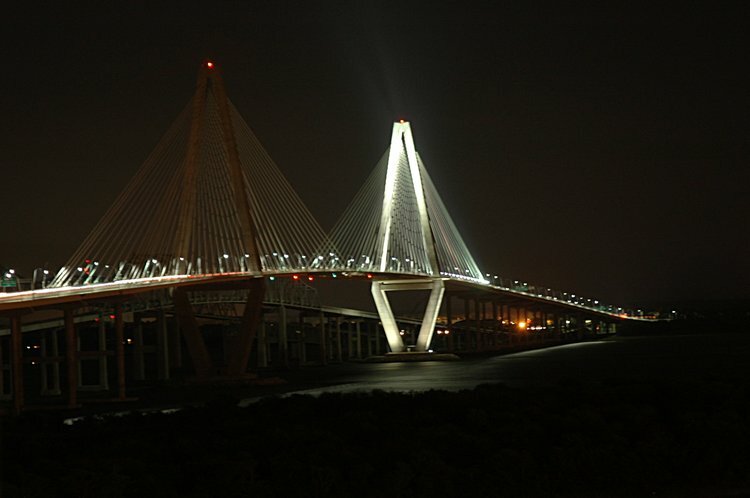 The first surprise was that only one tower of the Ravenel Bridge was lit. 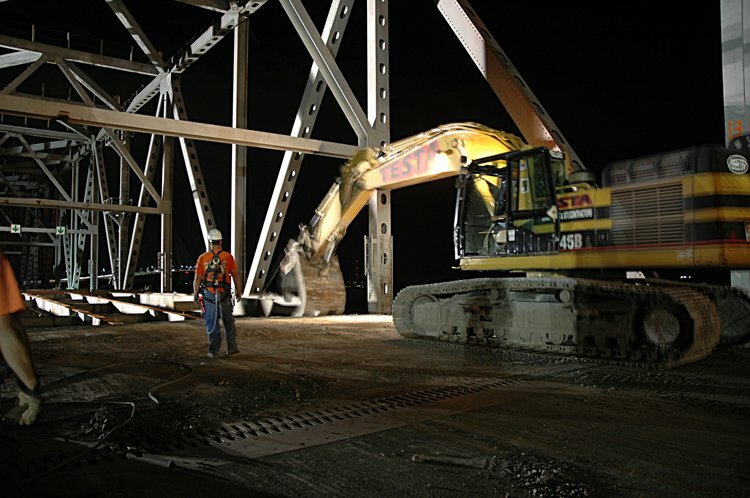 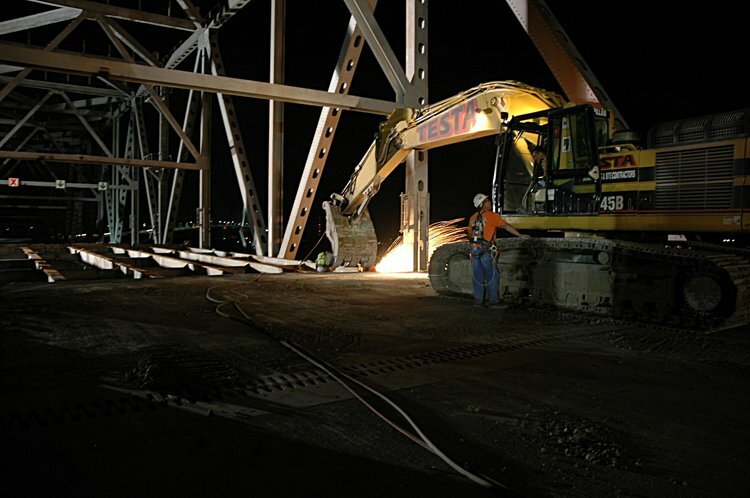 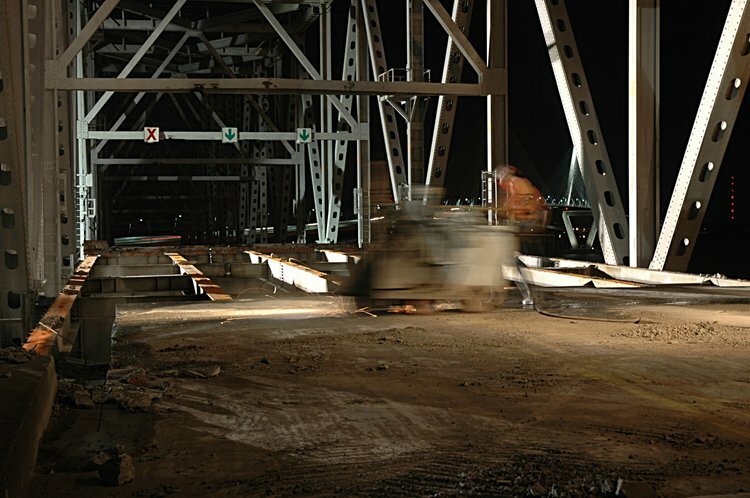 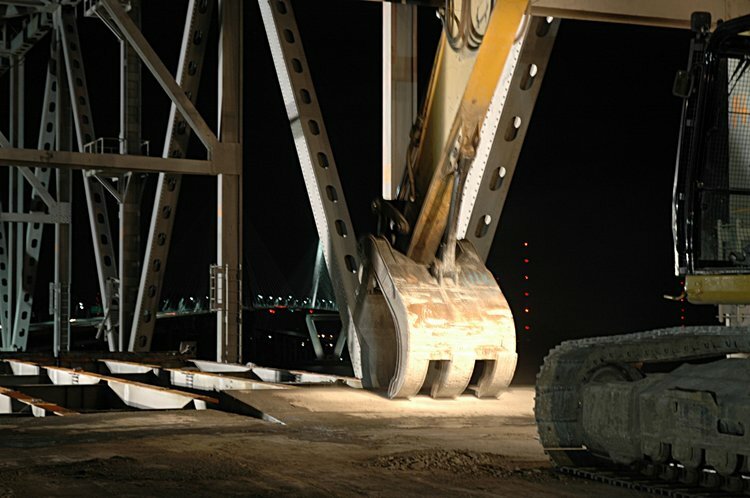 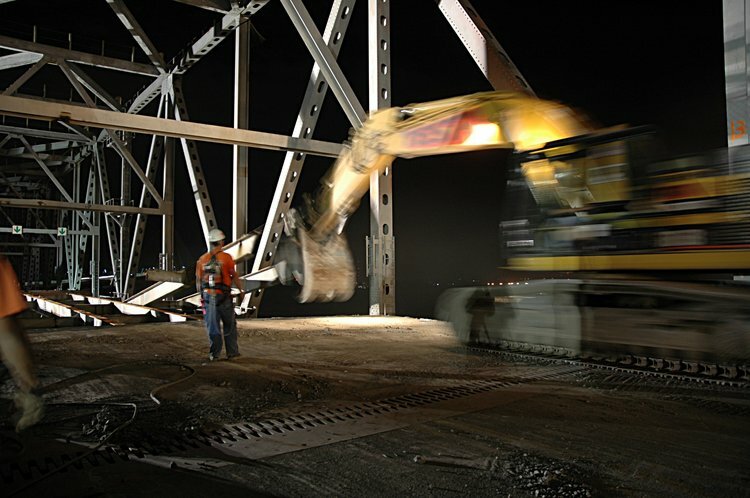 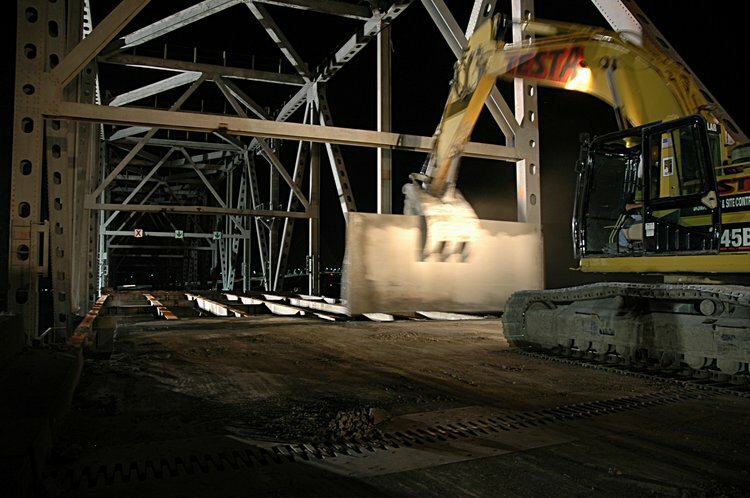 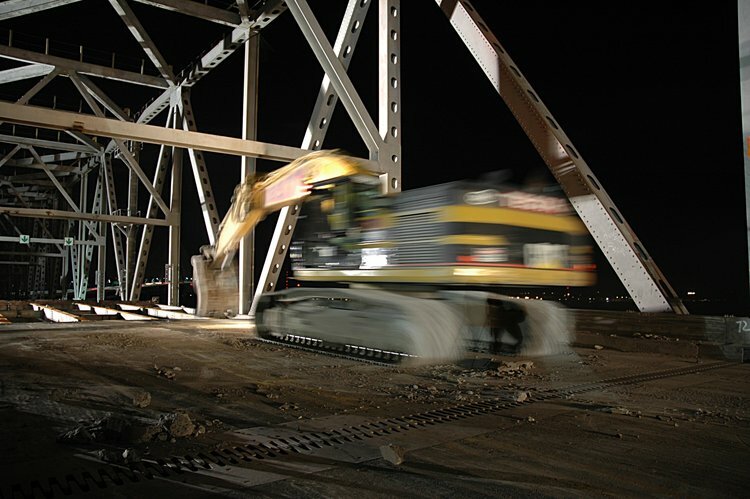 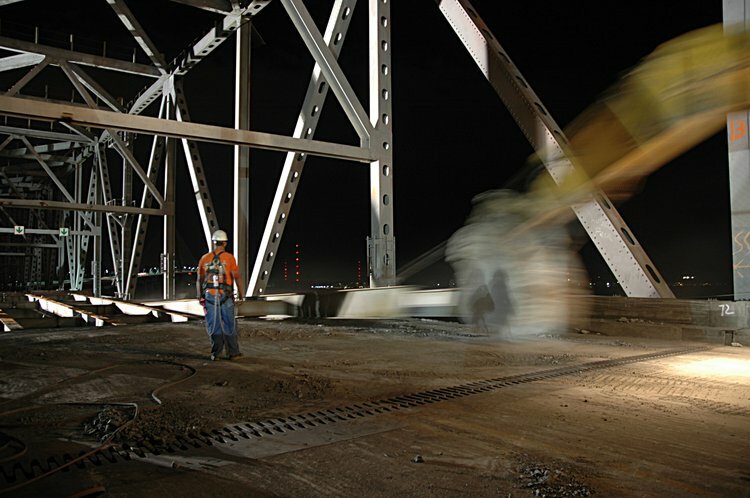 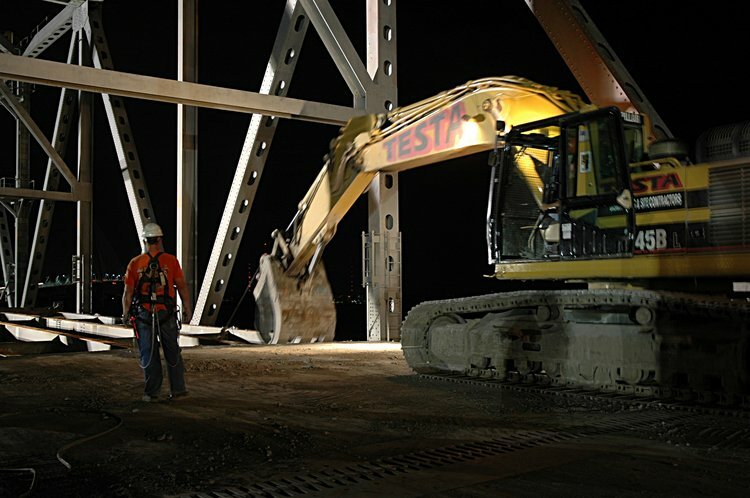 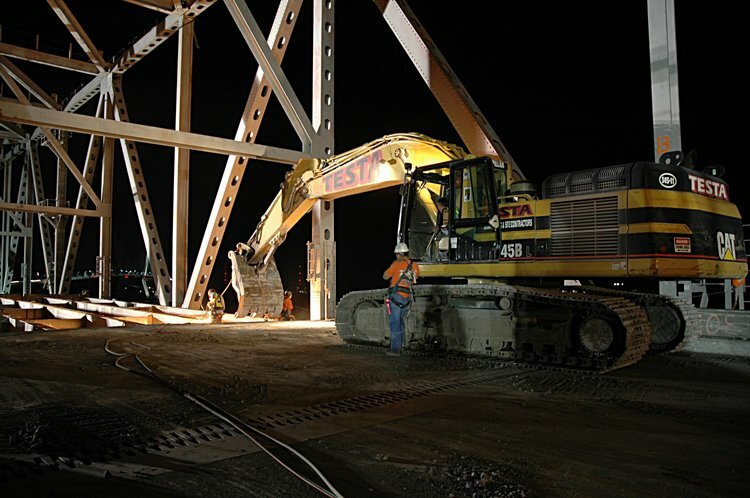 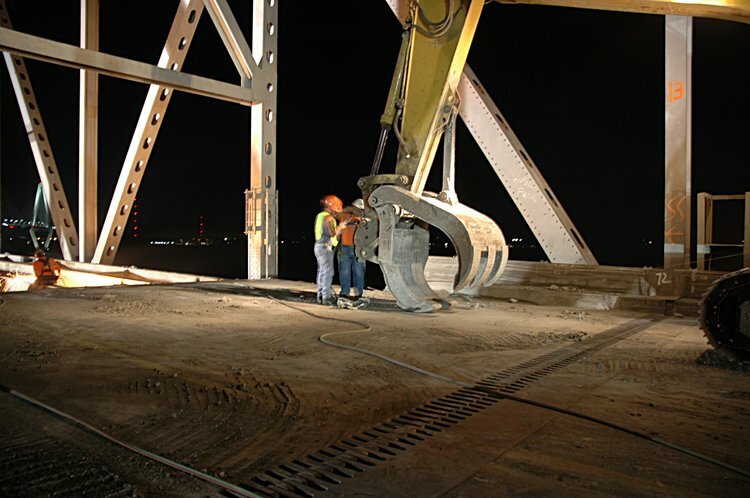 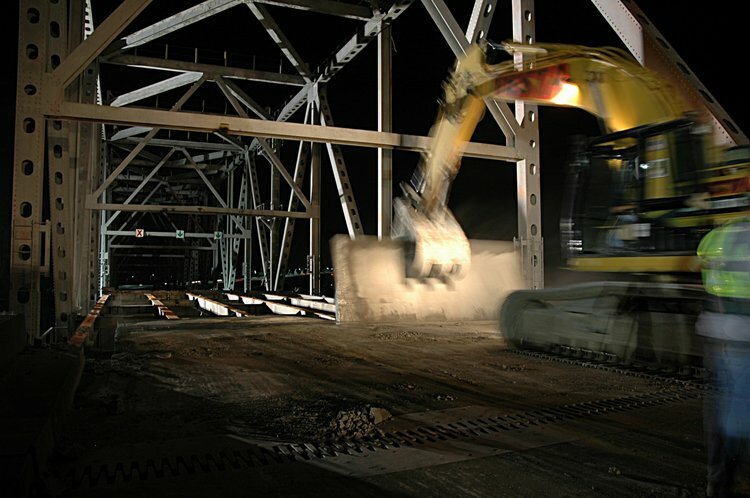 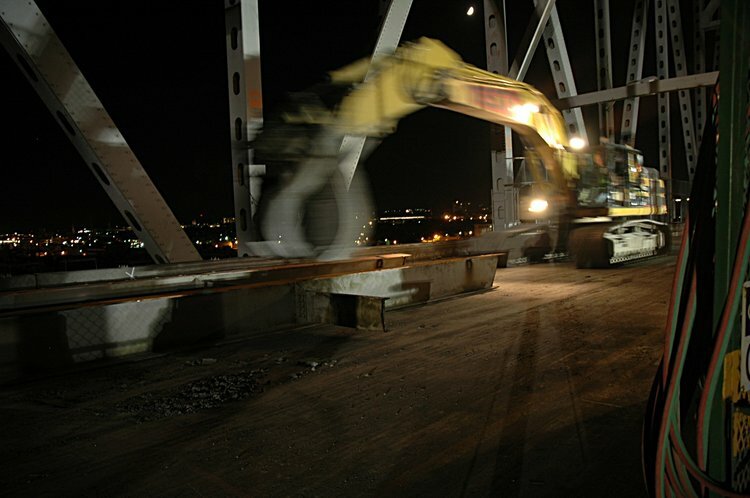 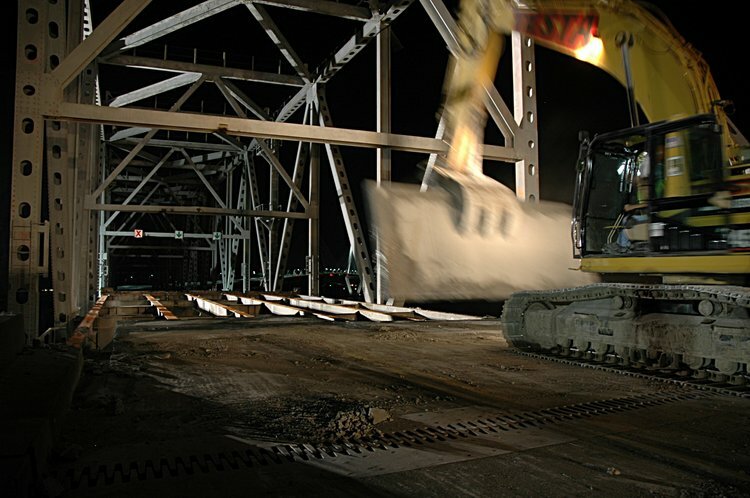 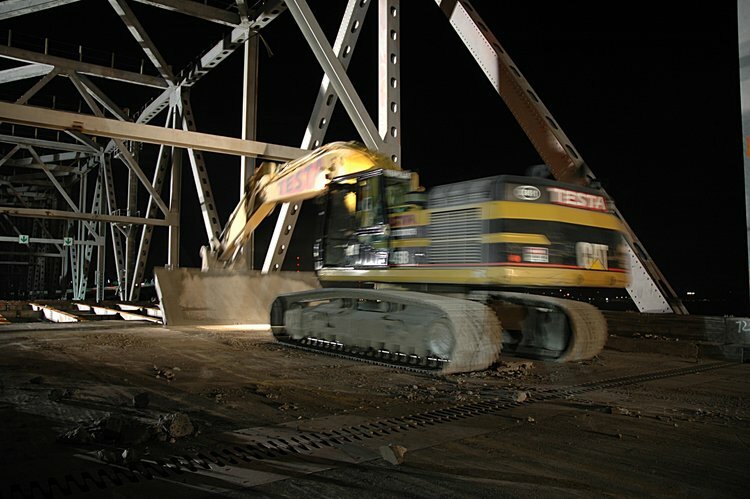 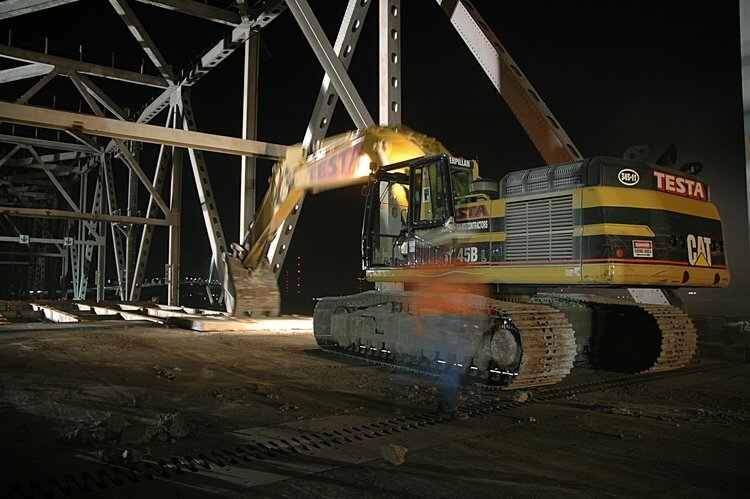 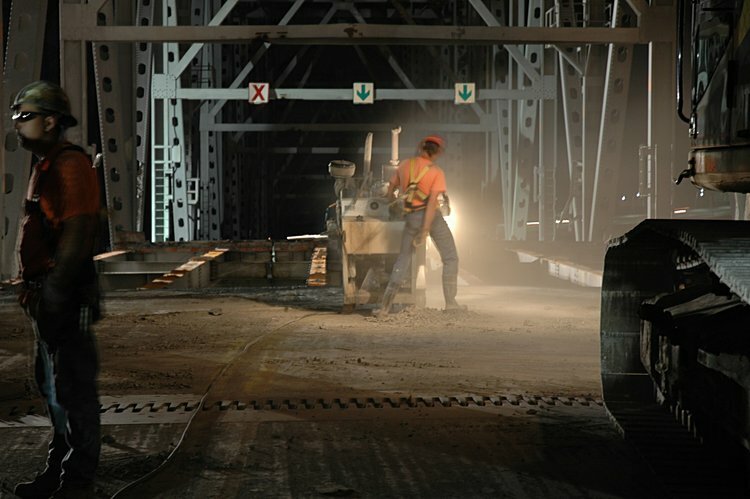 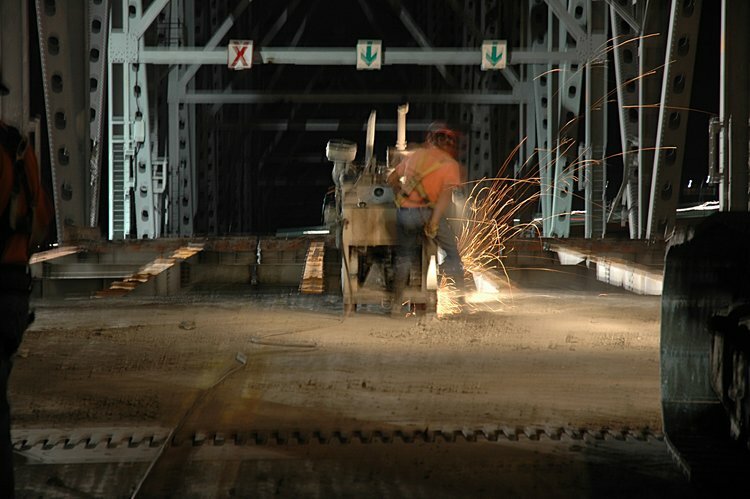 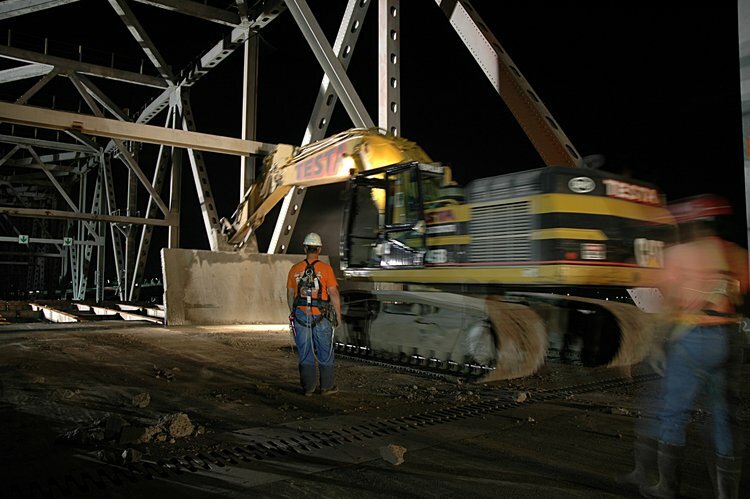 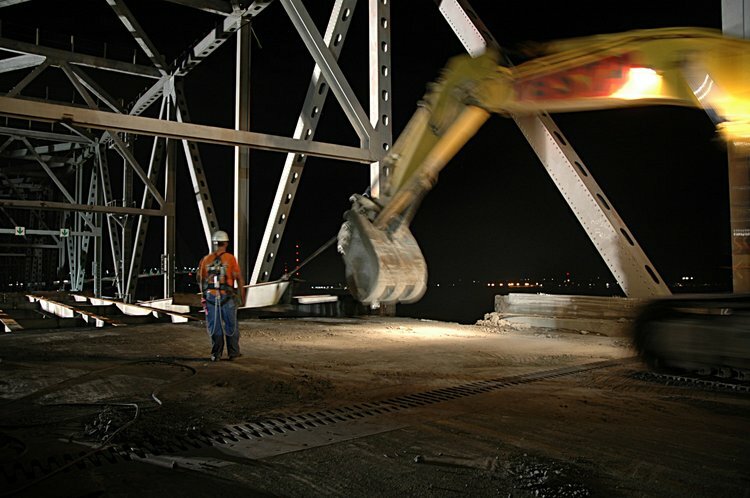 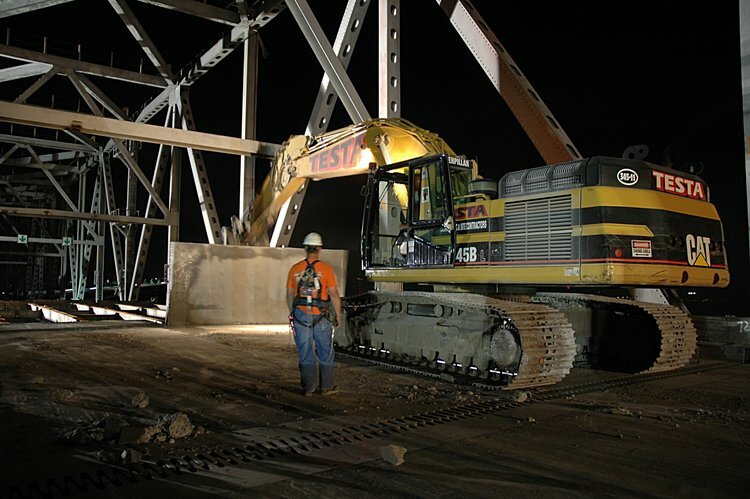 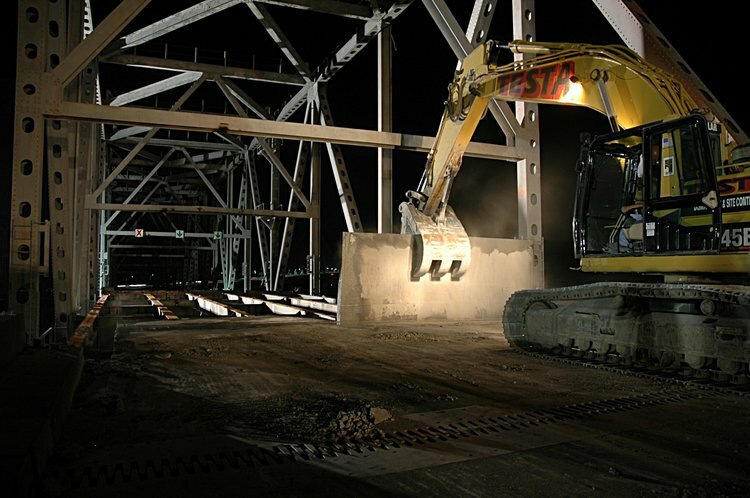 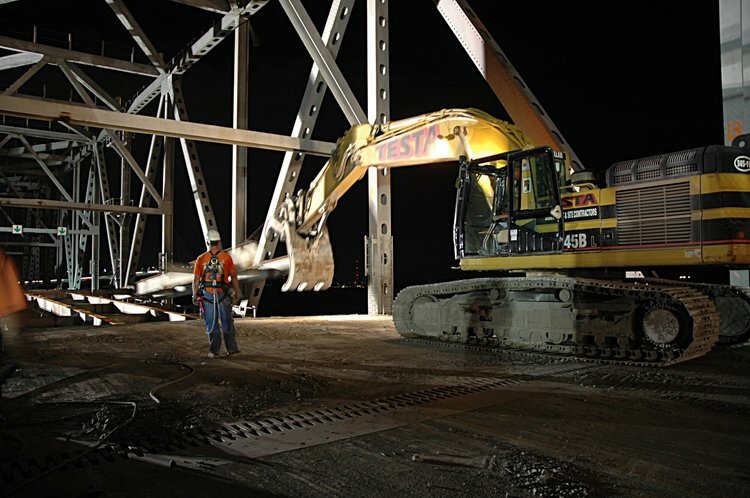 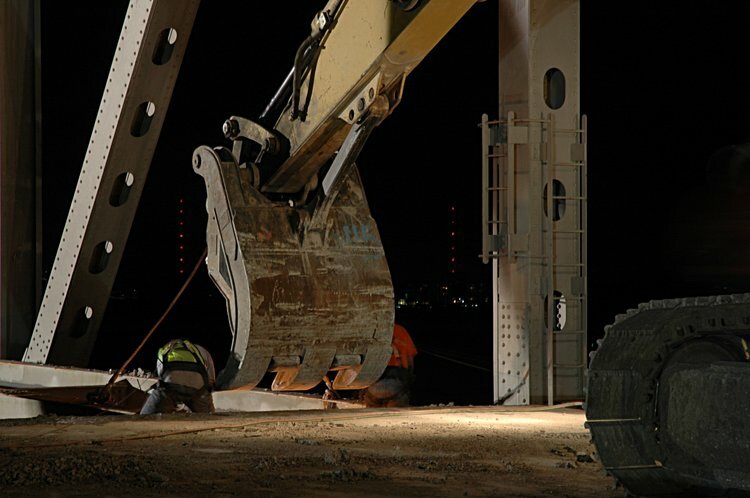 But in the meantime, the night crew was continuing to cut the roadway into 7 foot segments, remove them, cut the cross-pieces between the supporting girders and pull pairs of girders from the supporting structure. 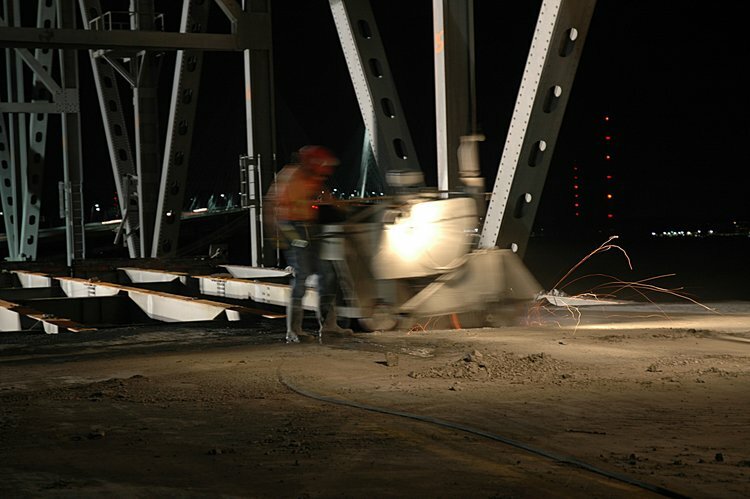 Here is the concrete saw - I suppose its a diamond tip blade. 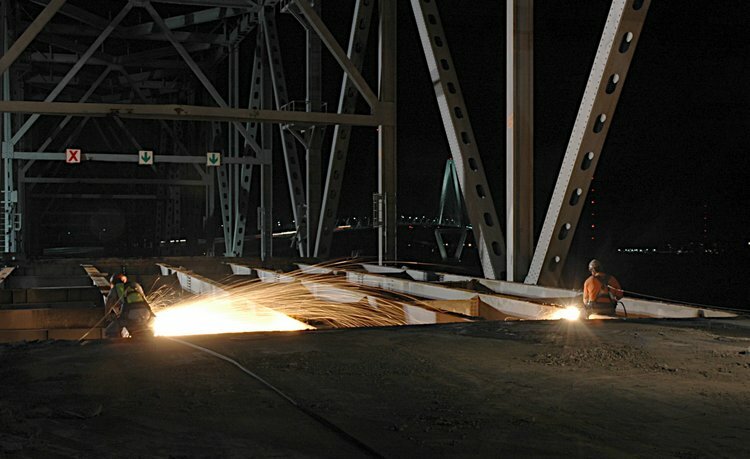 and more cutting - and at night - with the sparks flying, its better than the forth of July! 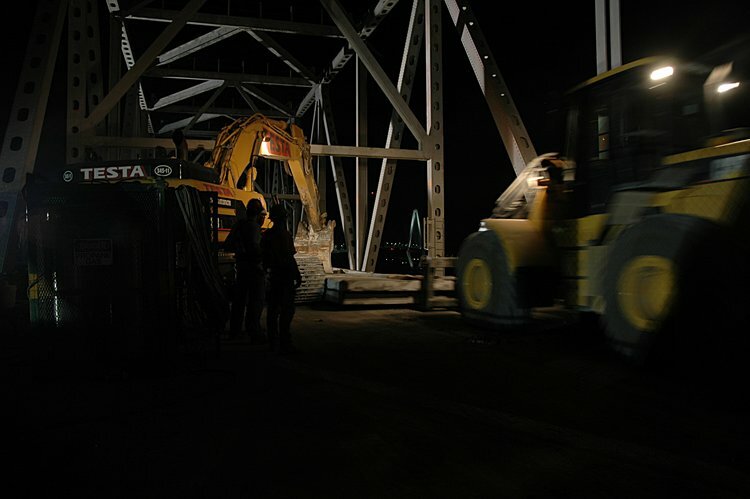 Its interesting with long exposures to see "shadow man"
and then picks the panel up as if picking up a pencil from the floor. 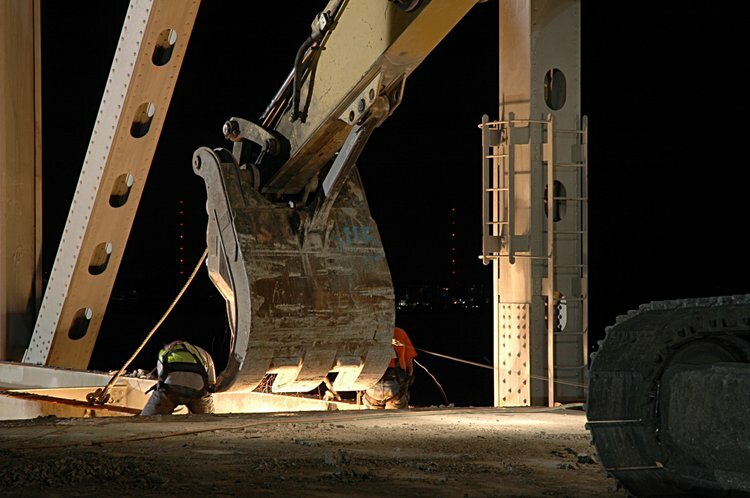 These guys really do display incredible surgical skills! 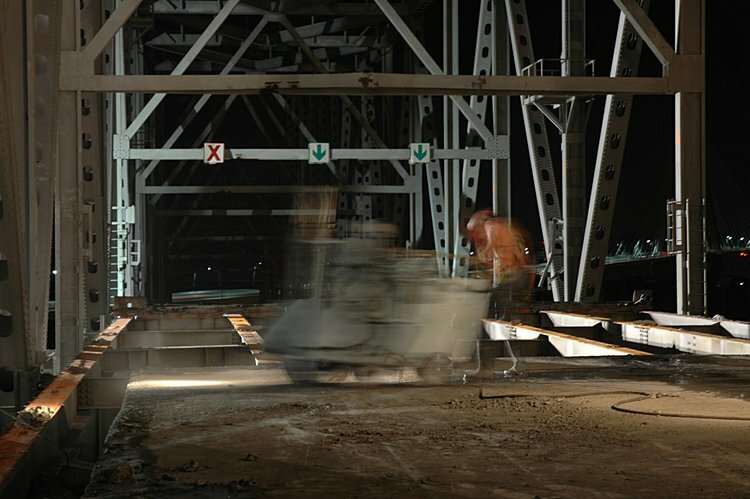 I suppose its obvious that this really fascinates me! 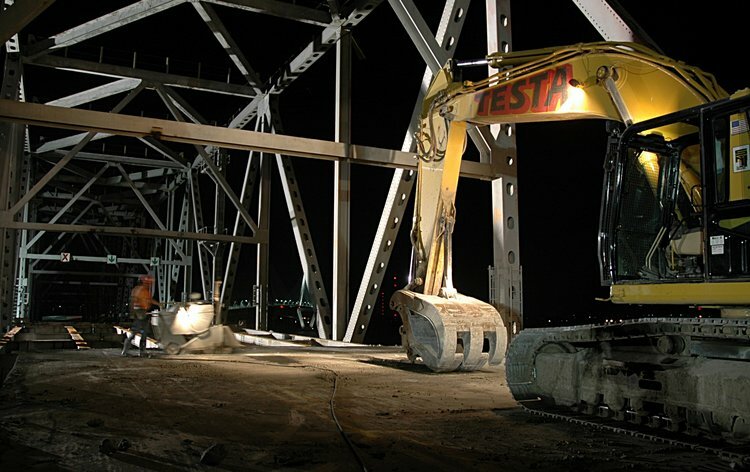 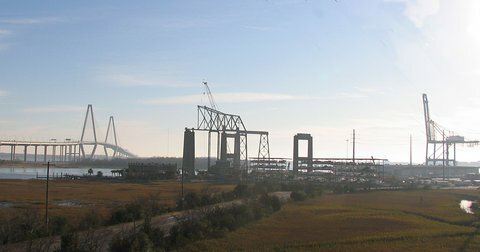 Another view of attaching the cables to the girders. 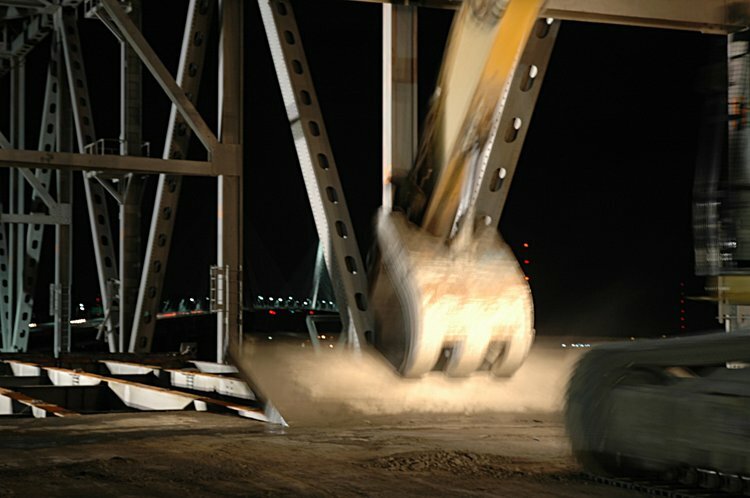 and then the grapple stabilizes the girders while the final cutting continues (I think Rick Beauchamp is driving the 345 here and you can see his head inside the cab. 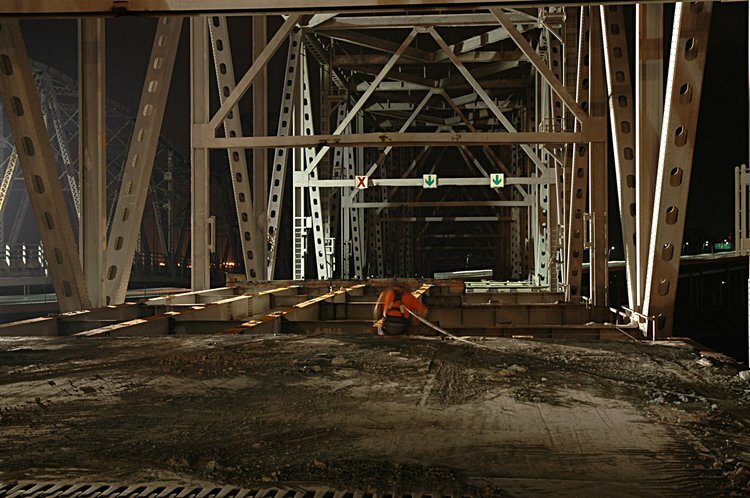 I am quite impressed with the safety of these procedures. 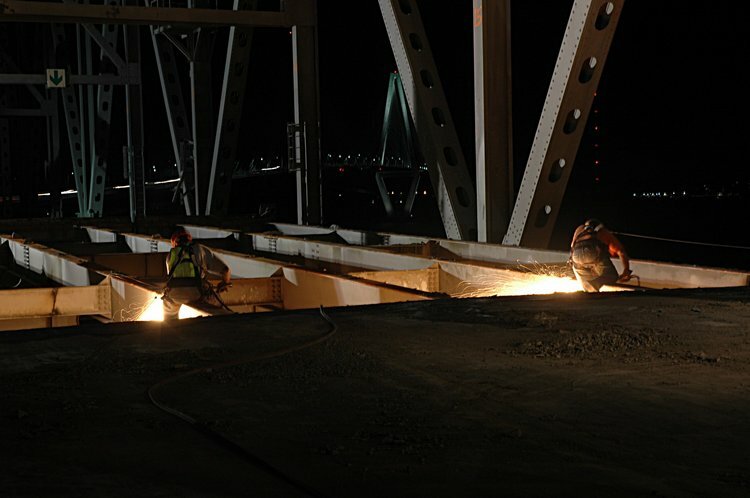 In many photos, you can see the tie-down cables and these guys are like high wire artists with torches.